Have you ever thought to trim Events with Data-analytics reports to witness event success? No. Not a problem, we hold on to the phrase -better late than never. Big Data and AI (Artificial Intelligence) are hitting the deck hard for modern day business growth. Technologies are gradually getting their firm grip over most industries including the Event Industry. Why is data-analytics becoming so important all of a sudden for business growth? Let’s try to understand this with a different angle, if you draw the graph of your decision versus the success ratio of your business, you will notice that it has direct relation. So far you have succeeded with your business decision based on your intuition, foresightedness and years of experience. But the twist here is the affinity to make a good decision, also bring close to the brink of making the wrong decision, apparently which may cause business downfall. To avert this or lessen the probability of it, conventional companies have started adopting the non-conventional approaches or techniques. --that is what the former president, of Hewlett-Packard Co. quoted back in 1999. Back then she captured glimpses from future, knowing how it would transform current business operations. Nevertheless her speculation needed any justification as current development in Data-Analytics speaks on behalf of her. But her statement is practically applicable for all types of businesses, especially event industry, where there is less documentation and plenty of data. Let’s figure it out. There are silos of data accumulated during events that could predict event industry profitability, brand awareness, success ratio, customer’s satisfaction, budget inflation, loopholes, etc. But usually, event planners overlook or miss some of the critical information that needs attention. This is when data-analytics play a pivotal role, it will do all the leg-work- churning, squeezing and filtering all unstructured data into valuable information. With available technology and software, this could be easily done. In other words, it let you differentiate diamonds from pebbles. Let’s dig deeper where and how data-analytics touches your business operations. 89% of marketers admit that email is their primary channel for lead generation. This means that a lot of silent communication about business takes place between vendor and client through the mail. This communication if tracked, analyzed and marked from the backend, would widen your business prospects. Remember that for an effective e-mail campaign, you have to first of all segregate active subscribers from inactive subscribers. The sure way of doing is to take help from data-analytics, collect all the data and identify the right audience. Data analytics report acts as an e-mail navigator, it helps you identify your potential clients and get better response rates for your e-mail marketing campaigns. Use data analytic tools to understand the behaviour and response rate of your potential clients and prepare a list of them before shooting the mail. With one or two cycles of mail, you will start building your business through mails. · Analytics Tools for E-mail: Spark Post, Email on Acid, Yes Ware, Hub Spot Sales, Tout App, etc. There is a famous quote “what gets measured gets managed”. Event planners invest heavily to make their events a great success and they turn ice-cold if they see their investments converting to liabilities. No event planner wants to see them in this situation. The ROI report is the sole object that acts as a bioscope for them to measure event success or calculate profit. Even research suggests that 74% of event planners do data-analytics to calculate ROI and measure event success. You can calculate ROI based on various KPI (Key Performance Indicators) like Registration, Check-in counts, Session-by-session event performance report, most visited areas in event, Event app downloaded, Live poll response, Social media impressions, etc. Generating reports with these components was mammoth task earlier but now with some sophisticated tools all facts and figures related to events can be collaged and summed-up into a single report. Data-analytics can help you know where your visitors and registrations are coming from or where you can adjust budget to lay-off debt-driven business. Decades ago the manual survey was the only way-out to tell how your event will perform and what visitors think about it. But modern-day analytics has opened all doors to comprehend events better. It made event planners more prescient to forecast on visitor’s needs and requirements. On top of it, community-forum and online FAQ platform like Quora has played a supportive-role in enhancing survey reports, which has changed the dynamics completely. This platform gives access to the people from distance location and different ethnic groups which helped in calibrating events further. Now customizations of events are aligned with the survey reports to draw more attendees and make it a hit. Altogether the advancement in technology has made survey reports more scalable, accurate and reliable. · Analytics Tool for Survey: SurveyMonkey, DataCracker, Survicate, SurveyGizmo, etc. 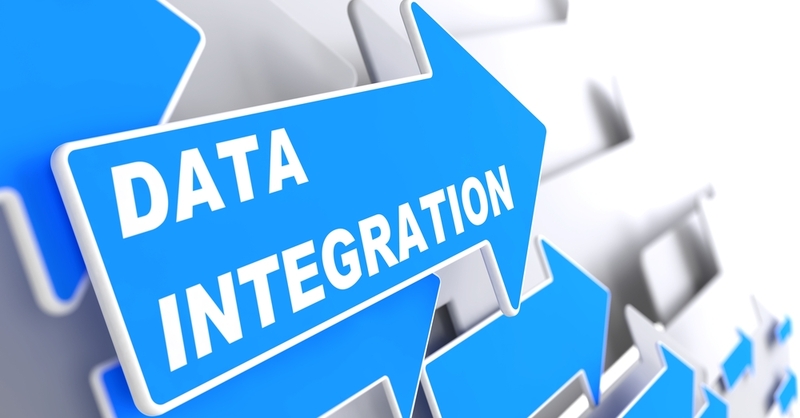 The major concern of event planners is not data-gathering but data-management; this is where data integration becomes equally important as data-analytics. Chasing different department gathering all reports and then analyse the data consumes lot of time, energy and un-necessary cost to event-planners. It is suggestive to have a common eco-system, where event data are updated simultaneously by all departments leaving no space for error. Event Planners integrate their data with check-in systems, payment gateways, event apps, etc. Your social media talks on your behalf. Social media now is not just limited to chatting platform but also tracking platform. Posting events ad on your Facebook or LinkedIn could bring a lot of audience engagement. The data from this conversation could be meritorious to predict event success. It will tell you a lot about attendee’s interest, who will attend the event. On top of it paper tickets being replaced by e-tickets, the data accumulated on online promotion and sales of tickets could be critical in deciding the revenues. Being an event planner if you are hotchpotch on data accumulation and management then live-streaming analytics could be an option for you. Live stream analytics tracks your live events and feeds stats in real-time without waiting you for days to produce reports by different department. Likewise, you can also integrate analytics from live polls, the data from live-polling give you real picture of what your event attendees think of your event. · Live-streaming analytics tool: Livestream Analytics, EngageNow, Slido, etc. There is a continuous improvisation observed in data-analytics for events, live data analytics for RFID and beacons are new metrics which marketers have their eyes on to know attendee’s average time spent on stalls, sentiments about exhibits, most influential delegates, lines building up at registration, sessions that are resonating most, and so on. 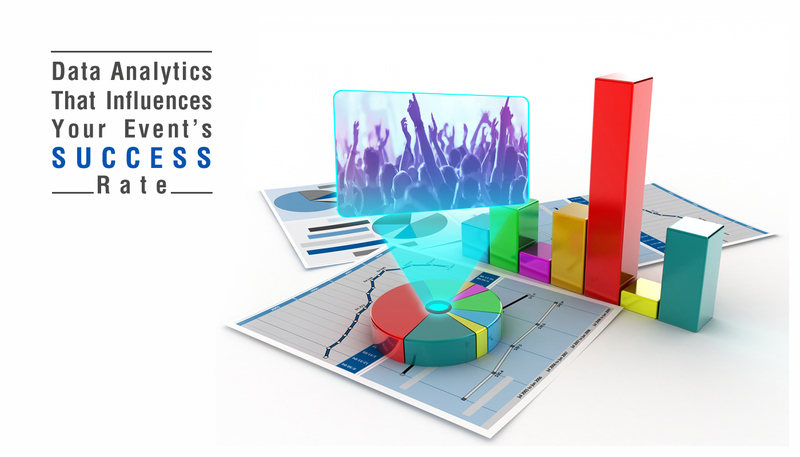 Data Analytics can not only help contemplating on your event success but also win sponsors for your events. You can present them your data as an evidence for event success. Regardless of all the technology and software available, there is a big percentage of event planners who remain deprived of data-analytic benefits or either hesitant to apply in their business. If you are someone who is benefited in event business from data-analytics reports share your experience here to inspire the less-techy event professionals to overcome their reluctance and stereotypes.